Optical spectra are presented for seven oxygen-based, four-coordinated Fe2+ bearing minerals, eudialyte, gehlenite, genthelvite, gillespite, pellyite, spinel, and staurolite, and two five-coordinated Fe2+ minerals, grandidierite and joaquinite. Broad, intense spin-allowed dd bands of tetrahedrally coordinated Fe2+, originating from the 5E -> 5T2g transition, appear in the spectral range 3,000 to 7,000 cm-1. 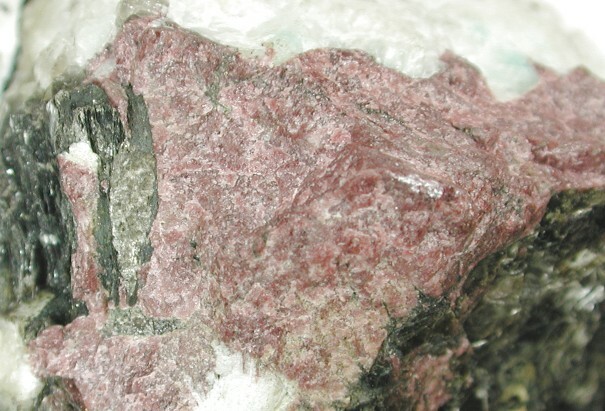 In the spectra of gillespite and eudialyte, minerals with square-planar coordination, the bands shift to higher energies, appearing in the range 7,000-20,000 cm-1. The amount of band splitting depends mainly on the distortion of the ligands surrounding four-coordinated Fe2+. 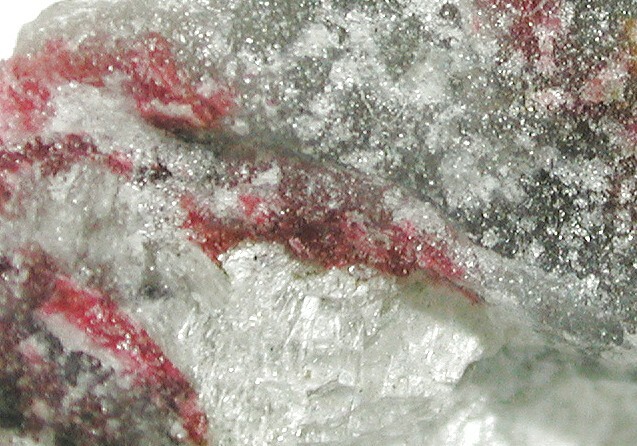 It is minimal for spinel with a regular tetrahedral site, and maximal for eudialyte and gillespite. For the minerals in four-coordination the barycenter of the split bands is well-correlated with the sum of the bond-length and edge-length distortion parameters if the square planer sites are excluded from the correlation. Molar absorption coefficients (e) of the spin-allowed tetrahedral Fe2+ bands range from ~20 cm-1×liter×mol-1 to ~90 cm-1×liter×mole-1. 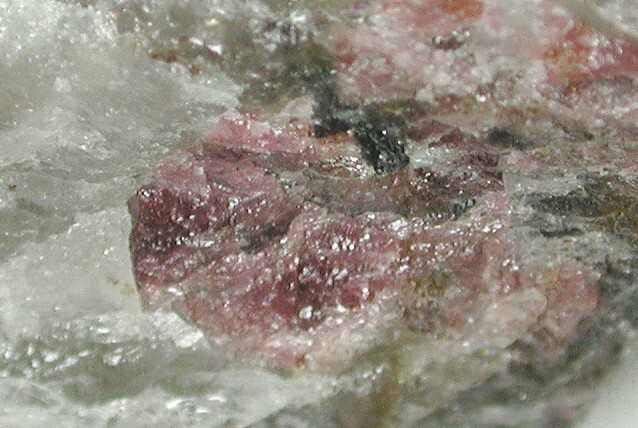 For eudialyte and gillespite, due to the centrosymmetric character of the ligand environment, the e values ranges from about 0.5 to 10 cm-1×liter×mole-1. For grandidierite and joaquinite, five-coordination causes spectra that resemble those of Fe2+ in highly distorted octahedral sites. The number of bands suggests, however, that the electronic level scheme of five-coordinated Fe2+ in grandidierite significantly differs from those of Fe2+ in octahedral coordination. Errata: the labels for the beta and gamma spectra were reversed in Fig. 9 in the American Mineralogist paper. The spectra in the link above are correct. * Genthelvite, Zn4Be3(SiO4)3S, forms a solid-solution series with danalite, Fe4Be3(SiO4)3S, a red mineral. Individual color figures from the paper in TIF format (~170 K each).